Richard Dodderidge Blackmore was born in Devon in 1825. 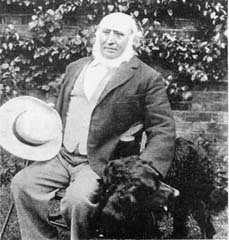 He came to live in Hampton Wick in 1854 and worked as a teacher at Wellesley House school in Twickenham. He liked walking to work as it was good for his health but he didn't really enjoy being a teacher.